ALPHA DRIVE is a car rental company based in Thessaloniki, Greece. Our well- trained staff is willing to serve you on your arrival in Thessaloniki in a wide range of locations; Thessaloniki International Airport “Makedonia”, train Station, Macedonia Intercity Bus Station, Bus Station of Chalkidiki and your hotel in Thessaloniki or Chalkdiki. The offices of ALPHA DRIVE rent a car is located in 83, Ethnikis Antistaseos street, Kalamaria and we are able to offer you a wide range of car rentals seven days a week. Our primary goal in ALPHA DRIVE is to make our clients feel comfortable and satisfied with our car rental services, and the quality and safety of the cars we provide. 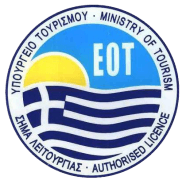 ALPHA DRIVE car rental is an official registered car rental office in Thessaloniki and Chalkidiki and operates in accordance with the regulations of the Greek National Tourism Organization.